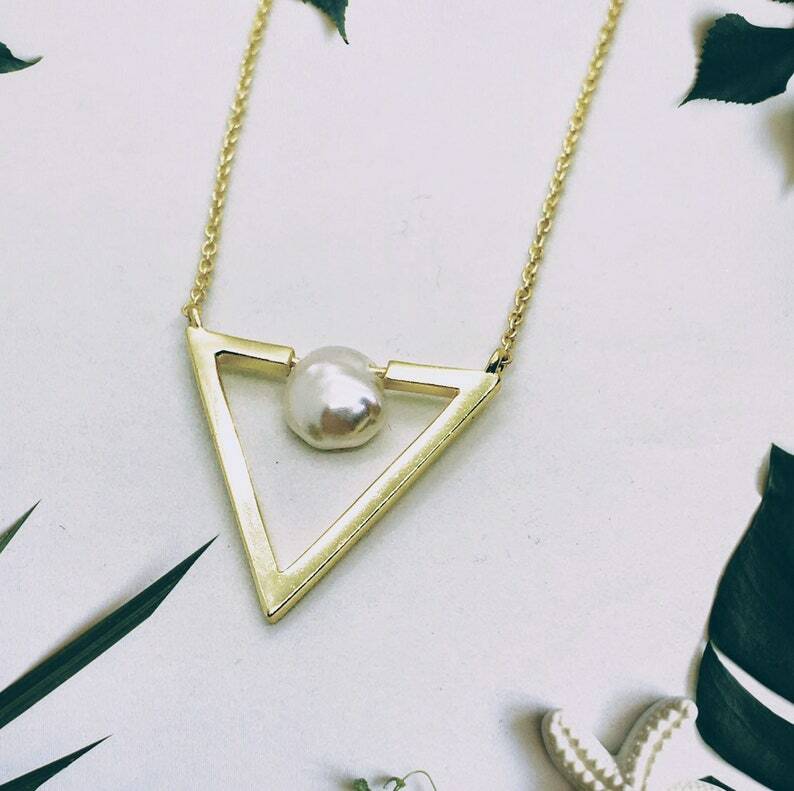 >> A Simple, Power Pearl Necklace - the classic everyday staple statement! This triangle shape, Single Pearl necklace is a perfect gift for birthday, anniversary, bridesmaids, graduation, friendship, sisters. You'll probably be wearing this one all the time and we don't blame you! -Pearl: 8-9mm (each BAROQUE PEARL is unique and slightly different in sizes and shapes) you can spin the pearl as it’s on a wire, for a different look.